Mushroom fungi are well known to possess the ability for degradation of diverse agricultural pollutants. 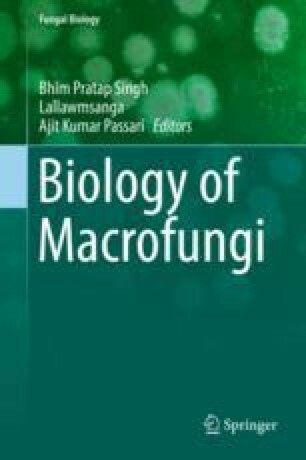 These fungi can degrade extremely diverse range of very persistent toxic environmental pollutants and insoluble chemicals such as lignin. They have the ability to tolerate a wide range of environmental conditions such as temperature, pH and moisture levels and even do not require pre-conditioning to a particular pollutant, because their degradative system is induced by nutrient deprivation. The use of fungi either natural inhabitant or externally introduced to degrade the pollutants involves enzymatic mineralization, chelation, biosorption and precipitation. Fungal biomasses have also shown excellent colour removal capabilities. The various biochemical methods which are used for dye degradation include the fungal degradation methods using pure enzymes or biosorption.